I am not sure how to open this week's post. There was a really impressive group of comics this week, but one stood above the rest. The simple idea of a superhero gaining power by being drunk or on drugs has such a wealth of opportunity I am stunned nobody has come up with the concept. Buzzkill has me excited on so many levels I just want to jump into this week's books. Buzzkill #1 - The concept is so simple it's brilliant and Mark Waid's quote on the cover is classic. "God, I wish I'd thought of this." Rueben, the name he gives his AA group, is an alcoholic superhero. When he drinks and does drugs he gets superpowers and he is seeking to clean up his act. In the AA group he recounts some stories on how he found out what powers he has and the moment that caused him to seek help. I guess when you seemingly destroy a town and have no memory of it because you were so drunk you blacked out it might take a toll on you. To say the least, the superheroes are not too pleased about his treatment, but the villains are celebrating the demise of a formidable foe. It is currently billed as a four-issue miniseries, I am hopeful that staying power to be an ongoing title. Can't recommend this one enough. 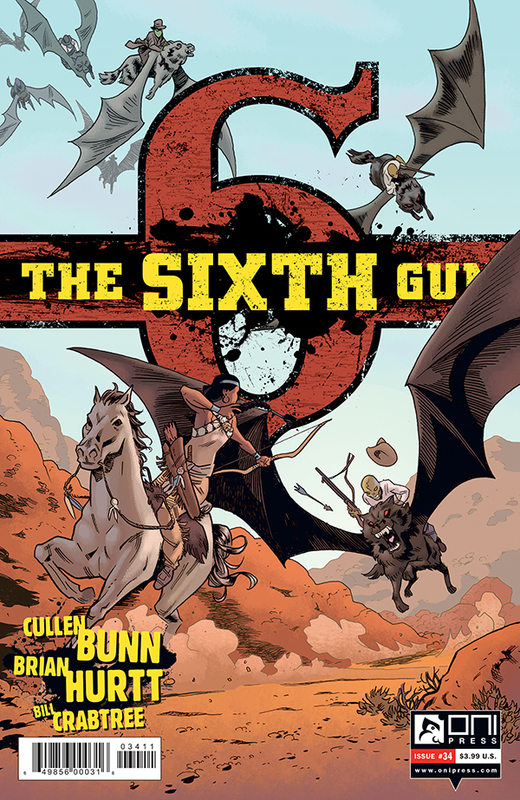 Sixth Gun #34 - Becky's journey in the dream world continues as she unknowingly assists Gord, Kirby, and Asher's attempt to save her by wielding the gun in Hume's twisted world. Drake is able to communicate to Becky and send her hopefully in the right direction as she seeks to leave the dream world and awaken. She is confronted with a world that she did not expect to see that may leave her not wanting to wake up. Another great issue from Cullen Bunn. Daredevil #31 - I think Mark Waid enjoys tormenting poor Matt Murdock. After all that Matt has been through lately, the final panel in this issue is infuriating and I love it. The D.A. is in trouble after he seemingly released the names, faces, and addresses of a jury of 12 that rendered a not guilty verdict in an obvious nod to the George Zimmerman case. Chaos ensues as Daredevil believes the Jester is behind it, but needs help calming a riot. Hank Pym lends a hand as an army of tiny ants, in a beautiful series of panels, seed the clouds to bring down a downpour. The pacing is quick and the hook at the end of the book is quite nice. I am still really enjoying Waid's Daredevil and will continue to purchase it. 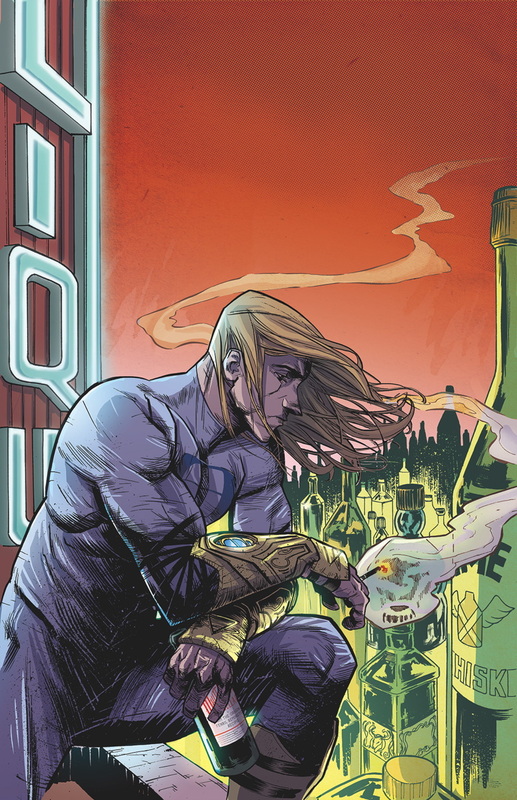 Infinity #3 - Things begin to look positive as the fate of the universe lays in the hands of the Avengers battling the builders and the crew left on earth stopping the mad Titan Thanos. Some hacking comes in handy and turns the builders weapons on themselves and Blackbolt spoils Thanos' trip to earth. This series continues to be good, but not sure if I will stick with it. I am intrigued, but nothing is jumping out at me that tells me this series is special. I am guessing I will be on board for the next issue as I love me some Thanos. 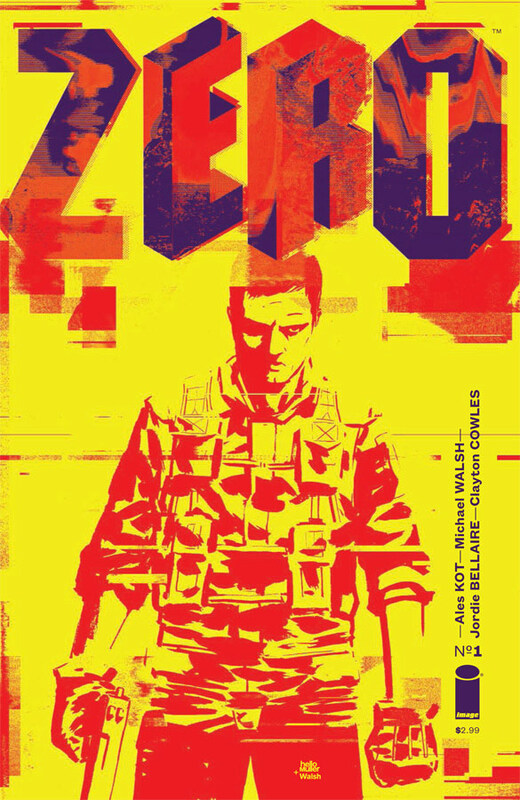 Zero #1 - This debut issue from Image Comics had my eyes peeled to the book. A former soldier is recounting his life stories to a child and the first story involves a secret mission to extract technology from a biomodified Palestinian terrorist. Zero stumbles into a brutal brawl between the Palestinian and an Israeli soldier that has also utilizing this technology. The fight between the two doped up soldiers is horrifying and Zero is willing to add to the body count in the process of completing his mission. I couldn't read this title quick enough and am excited about the next issue. Fast paced, fun, brutal, and very intriguing. Image is quickly becoming my favorite publisher. The Dark Knight #23.3 featuring Clayface - As a Batman and John Layman fan I came very close to picking this issue up, but passed on it to save some cash. From what I have read, if you are a fan of Clayface then you should pick up this issue. Might be one I try to scoop on sale.